This mosaic at the upper north gallery is on a dark and high corner and is difficult to see for the first time visitors. It dates back to 10th century, and probably had been made during emperors own reign on 912-13. 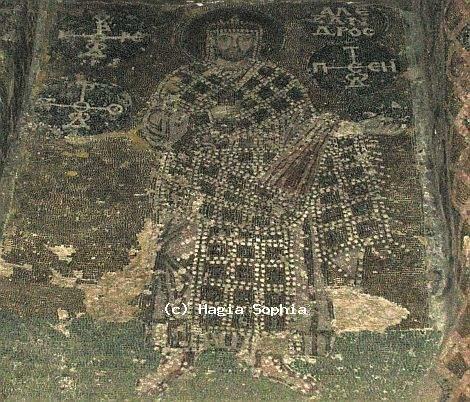 Emperor Alexander is wearing a ceremonial Byzantine dress and the camelaucum, an imperial crown. He is holding a scroll with his right hand.